Over the last twenty years, I changed jobs, countries, clients, partners, apartments (at one point I had four different apartments in three different countries). I learned and changed methods and techniques. I worked my way through a lot of the must-reads on self-improvement, I followed pointers that said: “This way!” I thrived on becoming a better manager, leader, coach, consultant, and human being. Every change was exciting. As each project challenged me, I learned new skills and developed new behaviors. I felt like I was growing. Yet, what I saw each morning in the mirror was the same face. And after each exciting change, something old and familiar settled in, an unease, a pale taste, like a fading memory of a bad dream that lingers, yet we can’t articulate it. I’ve seen a similar pattern in organizations and clients I worked with. We follow certain directions, we change and yet, on a fundamental level, we stay the same. Change has a certain direction, it has a goal – forward and up. We change job titles, earn more money, are more productive, learn different skills, get a bigger house, a new partner. On an organizational level it’s one change initiative after the other. It’s about going higher, faster, increasing revenue, reducing costs. Change keeps us busy. It’s like change is an end in itself. And it might well be. It makes us believe we grow. Change is like acquiring and putting on different glasses. We are proud of all the many glasses we have collected. We showcase them. 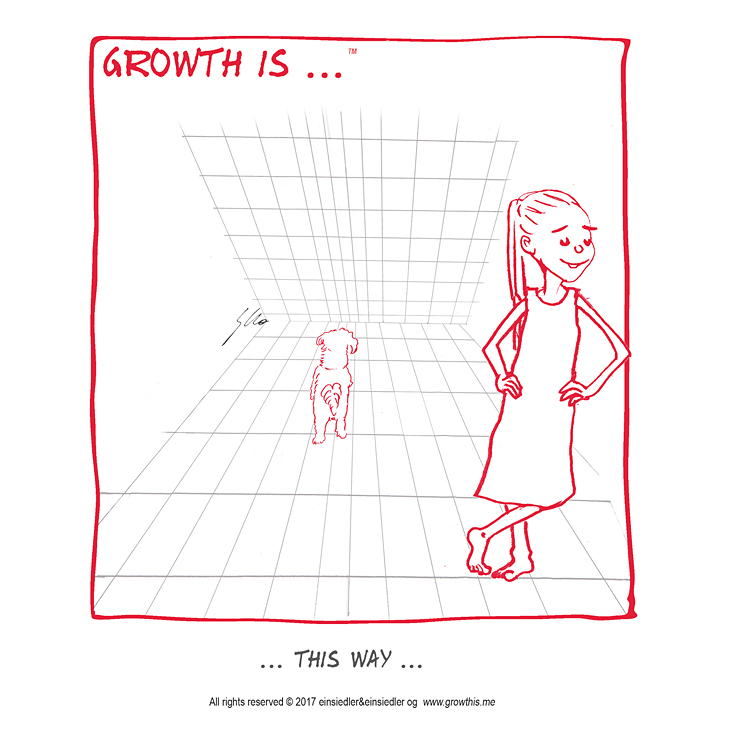 Growth, however, is quite a different game. Growth is to see with different eyes. Growth changes who we are. It’s a deep and personal process. We face our self-deceptions. Illusions and beliefs that kept us safe and warm dissolve. We struggle. We fall. It’s often painful. When we get up, something fundamental is different. Each and everyone has their own personal way to grow. We can choose to acknowledge that we are the masters of our own growth, not someone else. Once we have acknowledged this we can let go of the idea that we can plan and control our growth! Then growth can happen, in our very own individual way. What’s your own way to grow? Complement with “Feeling your own self-deception” and “Exploring your own depths“. I have not left Madhu's office without understanding myself better and being able to earn more money.